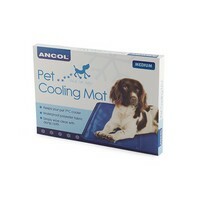 The Ancol Pet Cooling Mat Medium is made from Phase Change Material (PCM) and is proven to lower your dog's temperature by 7 degrees for between 2 and 6 hours. The PCM is used within the aerospace and health industries and changes between liquid and crystal formats depending upon the exterior temperature. 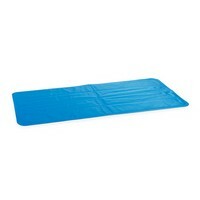 After use, the mat can be kept in a cool place and the mat will recharge, ready to be used again. The mat is non-toxic and environmentally friendly and can be simply wiped over to remove any hairs, dust or dirt.